The Flatiron Lounge is my favorite cocktail bar in NYC. I’ve long been captivated by the multi-step flavor of The Heart it Races by Julie Reiner which is no longer on the menu but known to the mixologists there. The real magic in this drink is the muddled coffee beans, which follow the rest of the flavors chronologically. Fill a mixing glass half-full of ice. Crush the espresso beans with a mortar and pestle and add to glass. 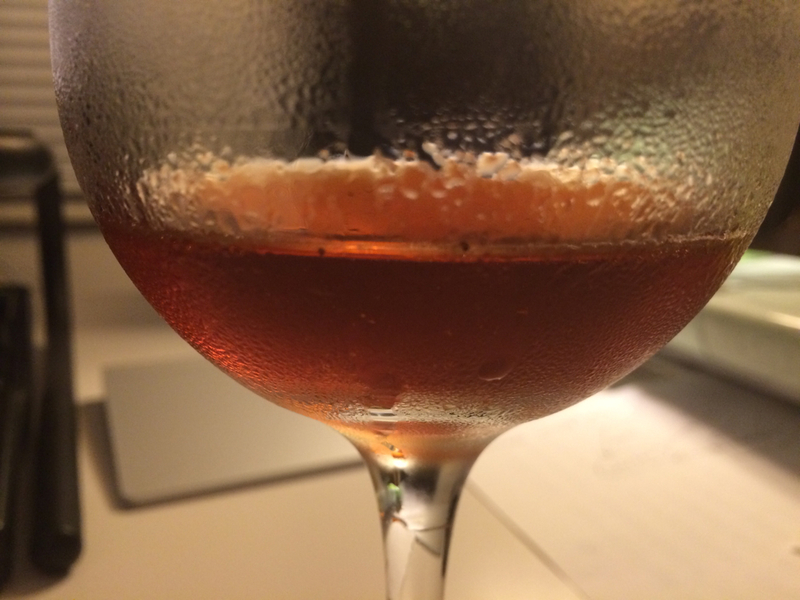 Add bourbon, vermouth and Campari and stir for 30 seconds. Strain through a fine sieve into chilled cocktail glass. Garnish with a lemon twist. Turkey burgers made with diced onion and Gouda. 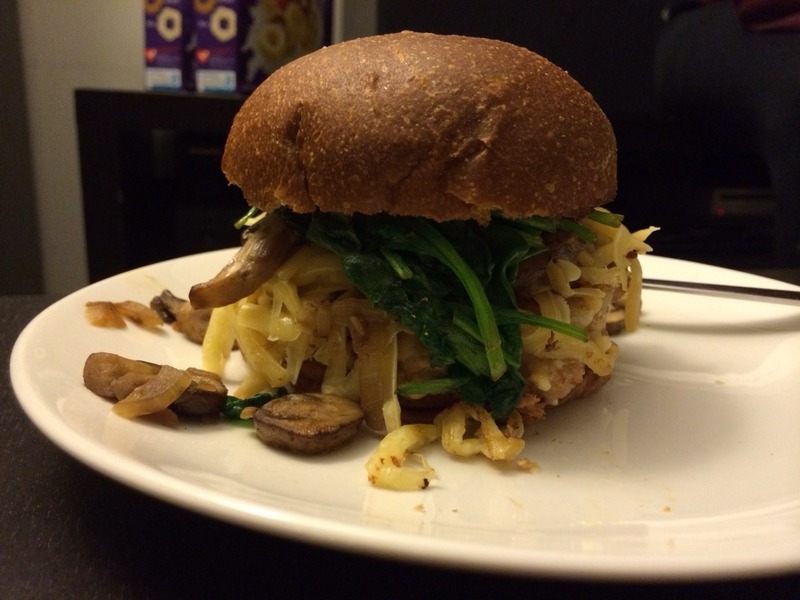 Topped with Gouda, sautéed crimini mushrooms, onions and baby spinach on brioche. People liked it. Including me. Mmm. If there’s one thing I like about Apple besides aluminum, glass and parting with my money, it’s their attitude toward people who use computers. Not that people who use computers (or people in general) are all that deserving or likable or easy to deal with. This story captures some of what I mean. I’ll be presenting these slides (or something pretty close to them) on 29 May at BEA in New York. They give a pretty good overview of where the industry sits today. Fantastic storytelling with data. Very Tufte.